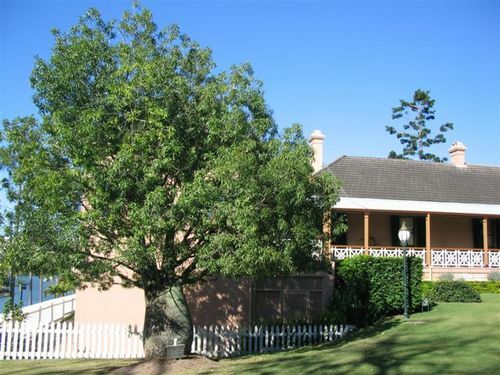 A tree commemorates Miss Mary Bedford, an honorary life member of the Women's Historical Association who died in 1955. Mary Josephine Bedford worked tirelessly to improve the lives of impoverished woman and children in Brisbane. She was instrumental in founding the Crèche and Kindergarten Association in 1907 and the Playground Association in 1913. The Bedford Playground in Spring Hill commemorates Josephine's outstanding contribution to Queensland children. Josephine volunteered with the Scottish Women's Hospital when World War One broke out and served in Serbia for 12 months as head of the ambulance service. She was awarded the fifth class of the Order of St Sava by the King of Serbia. Miss Bedford was a committee member of the Queensland Society for the Prevention of Cruelty, first provisional secretary of the National Council of Women in 1906 as well as a member of the Queensland Women's Electoral League. Another of her interests was the Women's Auxiliary of the Hospital for Sick Children.